According to Big Bang mythology, the numbering of "population" stars is backward. Population III stars are presumed to be the oldest, although none have been discovered. Population II stars are somewhat younger, and were brought into being by population II stars. These have more metals. (In astronomical terms, "metal" is defined as elements heavier than helium. Yeah, makes sense to me, too.) So, population I stars are the ones with even more metals, and are youngest. Some factors in determining the ages of stars is first by presuming the Big Bang and stellar evolution in the first place, rejecting special creation, measuring brightness and metal content, and so forth. 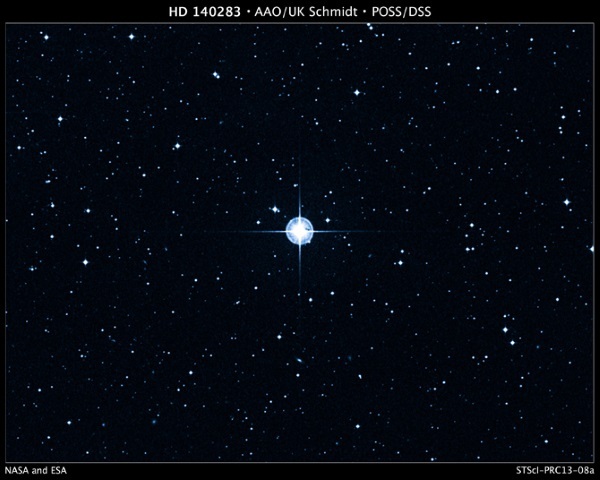 There's a star with the romantic name of HD 140283. (I'm going to write a song, "Kiss Me when HD 140283 Rises, Oh My Darling".) Using secular models, assumptions, and logic, this recalcitrant orb has been determined to be older than the universe itself. Secularists don't cotton to objects in the heavens that cannot fit their schemes, so a bit of adjustment can be done. But then it's too young to have even formed. Mayhaps they'll adjust the Hubble constant again or something. Looks like a model fail to me. Biblical creationists do not have these problems. 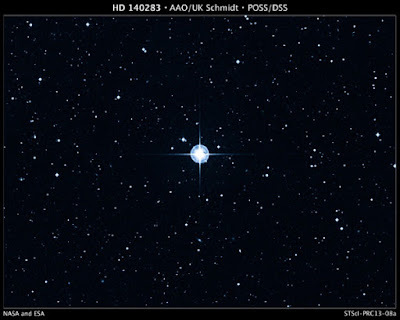 Author Howard E. Bond and his collaborators presented their work on the star HD 140283.2 From its high velocity and low metal content, astronomers had long thought HD 140283 was an extreme population II star and hence among the oldest stars. . . . Application of the most up-to-date models of how such stars evolve enabled the team to determine the age of HD 140283 to be 14.46 ± 0.8 billion years. The age of the universe currently is thought to be 13.77 ± 0.06 billion years. To read the rest of the article (which is not all that lengthy and will not bombard you with numbers that make your eyes go crossed), click on "HD 140283: Older than the Universe?"